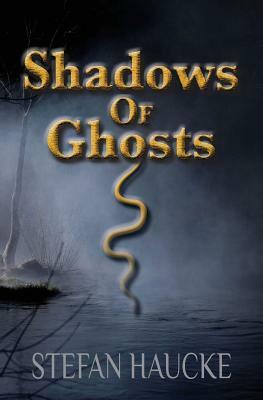 Shadows of Ghosts carries readers to Enara, a kingdom at war with itself, where for centuries centaurs have been treated like animals because of their horse-like lower bodies; they've been forced to work as slaves in the southern agricultural provinces, and have been bought and sold like livestock. But a strong abolitionist faction has convinced many that centaurs' human torsos, heads, and intellectual abilities make them humans, who should be liberated from slavery and granted the same rights as any other person. After four years of being forced to live in a remote village and having to keep his real identity a secret, Cal Lanshire, days away from his thirteenth birthday, is given the best birthday present he can imagine. He is told the war is almost over and he will soon be allowed to return home. But then an old acquaintance unexpectedly arrives with news that changes everything. Cal's father, the king, has been assassinated. Suddenly the outcome of the war and the very fate of the kingdom depend upon Cal being able to reach the capital where he will take his father's place. With only his crafty best friend by his side and an escaped centaur slave to guide him, can Cal make it through an enchanted, hostile wilderness, past the assassins sent to kill him, and back to the capital before it's too late? Stefan Haucke, driven by the desire to learn about other cultures and the need for adventure, has traveled to over twenty nations. He rode a camel near the pyramids in Egypt, swam with sea lions in the waters of the Galapagos Islands, climbed the Great Wall of China, hiked near the Acropolis in Athens, went dog sledding in northern Michigan, and photographed polar bears in Canada. Along his many travels, Stefan has successfully worked as a deckhand, a shepherd, a dispatcher for an emergency services unit, an electric meter reader, and an office manager. He has also found the time to study the literature and history of ancient Greece, Russia, and the United States, and loves reading folktales, fairytales, and urban legends. He also enjoys astronomy, and on clear nights can be found gazing at the stars and planets with his telescope.